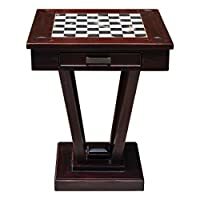 Made of the most superior woods from Italy, Maple, walnut, briarwood & mahogany with a beautiful mosaic boarder, complete with one sliding drawer Made in Italy for you!. 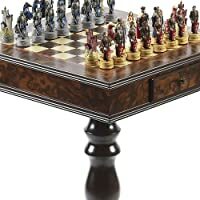 Solid maple and rosewood chessmen with hand carved knights, heavily weighted. 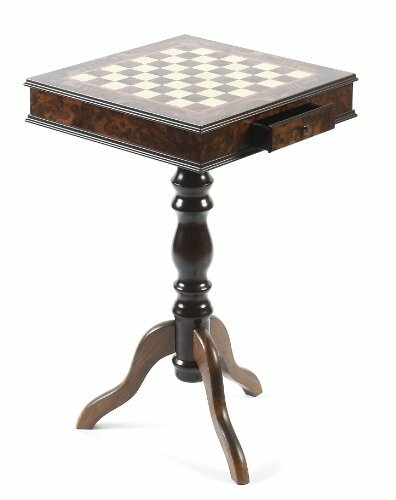 Imported from India Table height: 27". Table width: 16" Square. 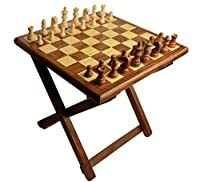 Squares on table: 1 7/16". King height: 2 1/2". Base diameter of king: 1". 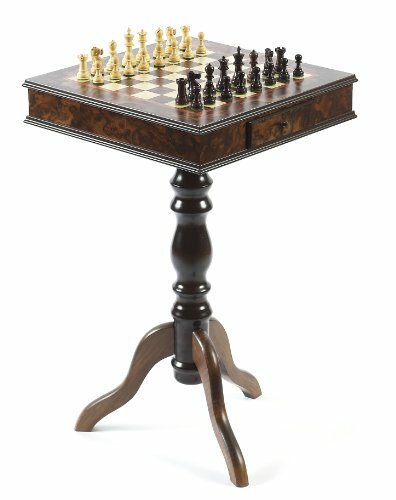 Made of inlaid maple, walnut, mahogany & briarwood. Squares: 1 7/16". Height: 27". King: 2 1/2". 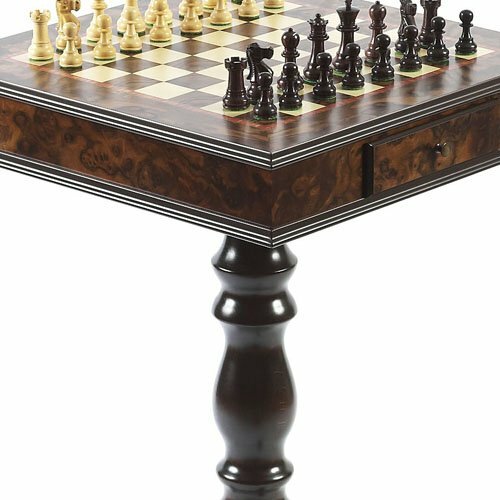 Luxury Italian chess table is hand-made of the most precious and superior woods and others have no comparison, the woods used are Elm, Briar, Mahogany & Burl. In recent years, faux woods have appeared in the marketplace. None of these fake reproductions, however, often sold as real they cannot begin to replace the beauty or the feel of the natural woods themselves. Table made in Italy, Rosewood chessmen made in India.